WORKSHOPS: We are offering two special Dailey Wellness Workshops this week. The first one is called Digestive Health Using Reflexology and Aromatherapy, and the second is Heart of Joy – Meditation, Journaling and Aromatherapy. For more information please see below. Janet Dailey Butler, founder of Dailey Wellness, is a self care advocate and is passionately devoted to the well being of her clients and students through timeless wellness practices. She brings her over 17 years of experience in the world of wellness into all of her work. Janet is an E-RYT 200 Naam Yoga teacher, 150 Hour trained Reflections Corrective Yoga teacher, ARCB certified Reflexologist, and Level One Wisdom of the Earth Medicinal Aromatherapist working with the highest grade essential oils and plant essences. Her specialty areas of yoga education include Naam Yoga, Corrective Yoga, and Bare Bones Basics. Janet is also an international yoga retreat leader, leading deeply transformative excursions in some of the most beautiful places on earth. As a musician and former rock & roll singer, Janet actively brings music to her work with clients in the form of chanting and sound healing. With over a decade of experience as both a teacher and wellness practitioner, she brings a refined blend of yoga, sound healing, aromatherapy, and reflexology into a unique and joyful system for self-care. Her work is driven by her personal experiences that include the insight gained after having a near death experience in the water while visiting Puerto Rico in 2005 that she considers an awakening. This experience gave her the strength to go full time into the wellness field, appreciating the gift of life and how precious each day is. While mostly serving in the role of a teacher and imparting the tools of yoga, reflexology and self care to her clients, Janet considers herself a lifelong student of the mind, body, spirit connection. She consistently challenges herself to learn more and seeks guidance from prominent mentors in the wellness industry. She serves clients throughout Manhattan and teaches weekly classes at Naam Yoga New York and Reflections Center for Conscious Living and Yoga. She writes for Thrive Global on topics related to cultivating inner joy and easing anxiety in a technology driven world. Her mantra release “The Naam Music Project,” is available on iTunes and CD Baby. To learn more about Janet Dailey Butler visit her at www.daileywellness.com and www.facebook.com/Thenaammusicproject. Daily Yoga Program includes a Morning “Sunrise Flow” – A Mindful Slow Flow that includes Sun Salutations, Yogic Exercises to unblock energy pathways, Pranayama (Breath work), and Meditations using sacred sounds. Evening “Restore and Renew” – Evening classes will focus on healing thru Yin, Deep Stretch, and Restorative yoga, Meditations (working with specific mantras), and rituals using Medicinal Aromatherapy. For Janet, yoga is a way of life. Her personal philosophy on yoga is it that it is all about the journey. Janet strives to build safe environments for her students to explore the body, mind and spirit connection in new and contemplative ways. She believes that everything we are experiencing in life is moving us towards greater happiness. She believes life is about how we treat one another, reconnecting to our truth, and uncovering our gifts so that we can share them with the planet. What this boils down to is learning to expand our capacity for Love. influenced most by Naam Yoga founder, Dr. Joseph Michael Levry and Reflections Center for Conscious Living and Yoga founder, Paula Tursi. Through them, she discovered chanting as a form of powerful sound healing, the beauty of presence, and how to cultivate an appreciation of the body as divine architecture. Connect with Janet for a week of Joyful Living…During our retreat week at Anamaya we will reconnect and deepen our connection to joy, allow nature to soothe and delight your senses, enjoy delicious healthy organic food, practice ancient yogic rituals in the morning and evening that strengthen our physical, and energetic bodies. Janet’s classes are a merging of the wisdom of Yoga therapy, Naam yoga, Yin and Restorative yoga. You will experience self healing techniques that include working with sacred sounds, exercises that help to access your intuitive intelligence, and daily rituals you can take home that raise your body’s vibrations for optimal health and well being. All levels including beginners are welcome. the moon and your personal planetary cycles. We will learn powerful breathing exercises, yogic movements and meditations to raise your vibration and reconnect you to your joy. Daily Yoga Program includes a Morning “Sunrise Flow”- A Mindful Slow Flow that includes Sun Salutations, Yogic Exercises to unblock energy pathways, Pranayama (Breath work), and Meditations using sacred sounds. Evening “Restore and Renew”- Evening classes will focus on healing thru Yin and Restorative yoga, Meditations (working with specific mantras), and rituals using Medicinal Aromatherapy. Reflexology – working in partners you will learn 5 specific points that you can use for yourself and your loved ones that can benefit your digestive and overall health and well being. How to apply and work with medicinal grade plant and flower essences that assist digestion and calm the nervous system. Foot exercises for healthy arches and that help cranky soles. 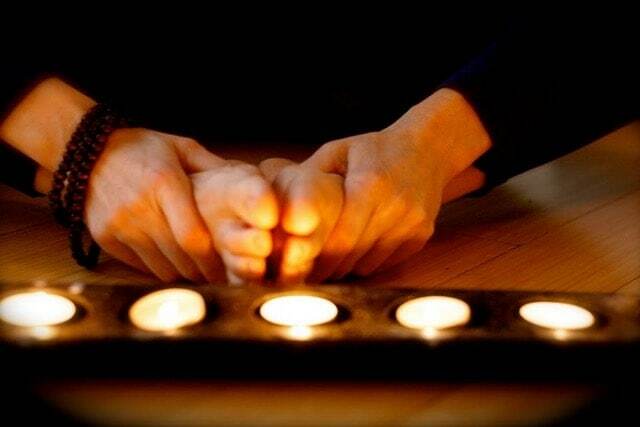 Reflexology can benefit anyone dealing with: stress related issues, insomnia, chronic pain, migraines, plantar fasciitis, feelings of being disconnected and or ungrounded, creative blocks, low energy and feeling overwhelmed. When we are connected to our joy life flows! We have all had the feeling of being in synch with all of life, and the energy that it brings. During this workshop we will explore the elements of joy and questions like: What brings you joy? What supports your joy? Through Breathwork, Guided Meditations, Healing circle, Journaling and the use of pure plant essences, we will bring light and reconnect to your very essence and your nature. Please bring a notebook and pen for journaling. ***Each workshop is 90 minutes in length. Price is $50 per workshop, or $90 for a package of two workshops.